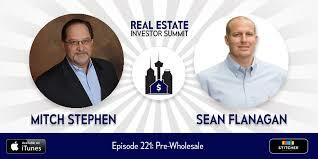 Sean Flanagan is first and foremost a Christian family man and second, a serial entrepreneur. When not working, he enjoys spending time with his wife Tracey and their 3 children, Logan, Bailey and Kiersten. His hobbies are surfing, jiu-jitsu, and coaching his kids at their wrestling matches. Sean has been a real estate investor for 17 years and still actively buys, sells, and owns properties in the Central Florida market. 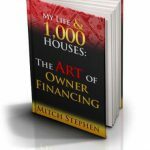 As a real estate investor in one of the most competitive markets in the country, he created and founded the Lucky Buys Yucky Houses® brand, out of necessity, and went on to use it to dominate his local market for years to come. During his real estate career, which spans close to two decades as of the time of this writing, he has developed a knack for creating effective systems which are being successfully used to target motivated sellers in areas where his competitors never even think to look.